New DelhiThe Supreme Court will on Friday hear a PIL by NGO Common Cause challenging appointment of Rakesh Asthana as the Central Bureau of Investigation's interim Director, on grounds it was arbitrary and overlooked established procedure. A bench of Chief Justice T.S. 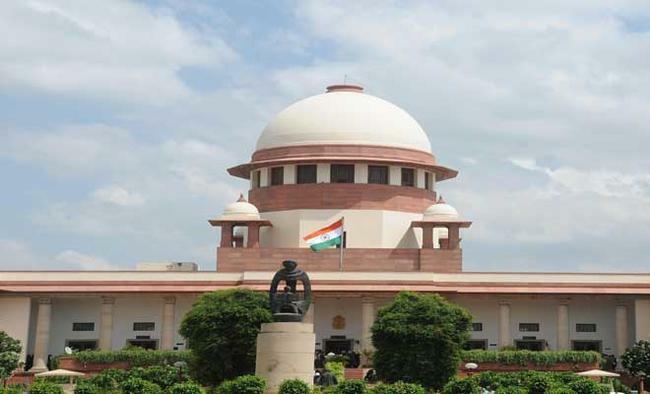 Thakur, Justice D.Y.Chandrachud and Justice L. Nageswara Rao agreed to hear the PIL after Common Cause lawyer Pranav Sachdeva sought an early hearing. The petitioner alleged that the government took some steps, including the shifting of former Special Director R.K. Dutta to the Home Ministry, to facilitate bringing Asthana as the interim director. Seeking the quashing of Asthana's appointment, Common Cause has sought direction to the Central government to initiate the process for appointment of a regular director of the premier investigating agency as per the law. The society has contended that the government has acted in a "mala fide, arbitrary and illegal manner" to ensure appointment of Asthana as interim director of the CBI. It further says that just two days before Director Anil Sinha was to step down on December 2, 2016, Dutta was transferred to Union Home Ministry by creating a post of Special Secretary by upgrading by two layers the post of the joint secretary. This, it said, was done to frustrate the chances of Dutta stepping into the shoes of Sinha as he was number two in the hierarchy of the investigating agency. The petitionhas pointed out that it was for the first time in one decade that an interim director was thrust on the investigating agency. It said that the process for the appointment of Sinha's successor should have commenced well in advance. Common Cause, in its PIL, cited the Lokpal and Lokayuktas Act, 2013 and Delhi Special Police Establishment Act, 1946, under which the CBI Director is selected by a committee comprising the Prime Minister, leader of the single largest opposition party and Chief Justice of India (or any judge nominated by him). This shows that the "Government wanted to appoint its own choice as Interim CBI Director, even if it meant bypassing the statutory law, the norms of propriety, and the directions (of the apex court) ... in Vineet Narain's case". It has also recalled the recent direction of the top court directing the government to appoint a full-time Director of the Enforcement Directorate in a time frame.